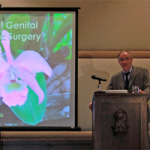 Dr. Michael Goodman specializes in women’s genital plastic/cosmetic surgery, as well as midlife/menopausal medicine, sexual issues, and the integration of lifestyle, stress reduction, botanicals and hormonal therapy. 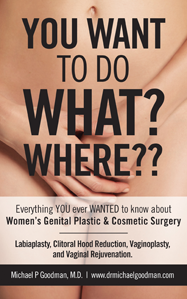 The author of many articles and books, he is also dedicated to teaching the next generation of women’s plastic/cosmetic surgeons. 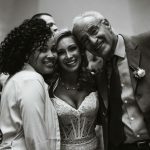 Dr. Goodman received his training in Gynecology at Stanford University and its affiliated hospitals. He is a Certified Menopause Practitioner, a Fellow of the International Society for the Study of Women’s Sexual Health and an Associate of the American Academy of Cosmetic Surgery. 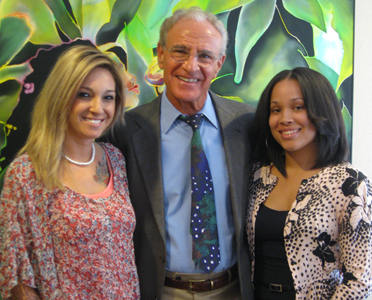 His private practice enables him to provide specialty care in a relaxed, comforting environment. 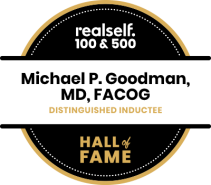 Dr. Goodman has been announced as one of 1,000 board-certified doctors to be inducted into the RealSelf Hall of Fame, an honor recognizing the highest-rated and most active doctors on RealSelf, the leading online marketplace to learn about cosmetic treatments and connect with medical aesthetic providers. 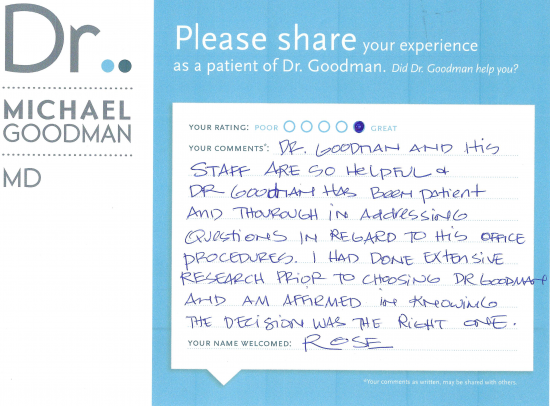 The following are comments from a few of Dr. Goodman’s patients about their experiences. Names have either been omitted or shortened for patient confidentiality. You can also view online patient reviews via Dr. Goodman’s RealSelf profile.